"You gain strength, courage, and confidence by every experience in which you really stop to look fear in the face. You are able to say to yourself, 'I lived through this horror. I can take the next thing that comes along." 1. 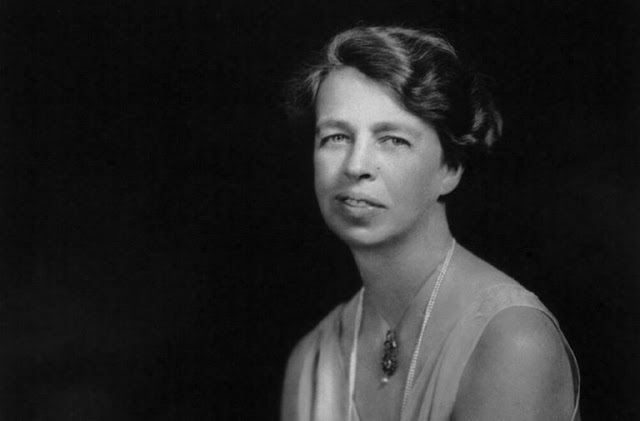 Anna Eleanor Roosevelt was born on October 11, 1884 in Manhattan, New York. 2. Eleanor’s mother died from diptheria (as did her brother Elliot) when she was six. She was almost 10 years old when her father, an alcoholic confined to a sanitarium, survived jumping from a window during a fit of delirium but suffered a fatal seizure shortly afterwards. It was the tragic losses in her early childhood that paved the way for her lifelong battle with depression. 3. As a young girl, she loved playing field hockey and considered the day she made her private school's field hockey team as one of the happiest days of her life. 4. Eleanor is the only first lady to not change her last name upon marriage since she married a man with the same last name. She fell in love and married Franklin Delano Roosevelt, the 32nd President of the United States, who was her 5th cousin, once removed. Theodore Roosevelt, the 26th President of the United States, was Eleanor's uncle, and gave her away at her wedding. 5. During the 1930's, Eleanor was very close friends with aviator Amelia Earhart. The courageous Eleanor flew with Amelia from D.C. to Baltimore in 1933 and was inspired to apply for her very own pilot's license. FDR was not in favor of his wife becoming a pilot so she did not further pursue her plans to learn to fly. 6. At the time that her husband Franklin Delano Roosevelt was first elected president, female journalists had traditionally been excluded from serious media events at the White House. As First Lady, Eleanor started hosting several 'Women Only' White House press conferences, which helped win over female voters for her husband and in turn, pressured papers into hiring more women reporters. 7. In 1938, the Southern Conference for Human Welfare held its inaugural meeting in Alabama and upon her arrival, Roosevelt sat directly beside an African American associate, ignoring the designated whites-only section. After being told that Birmingham had segregation policies prohibiting whites and blacks from sitting together at public functions, the First Lady asked for a ruler. When a ruler was produced, she then said “Now measure the distance between this chair and that one". Upon examining the space separating the white and black seating areas, the first lady placed her chair directly in its center. She sat there defiantly in this racial no-man’s land, until the meeting ended. One witness claimed "they were afraid to arrest her". 8. In 1946, Harry S. Truman appointed Eleanor as a United Nations delegate. In this role, she became a driving force behind drafting the U.N.’s Declaration of Human Rights. 9. From 1935 to 1962, Eleanor composed weekly articles about her political views and personal life, entitled “My Day”. A meticulous and systematic professional, Eleanor only missed a single week’s worth of articles, following her husband’s death in 1945. 10. 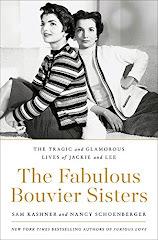 On November 7, 1962, she died as a result of cardiac failure at her Manhattan home on the Upper East Side. At her funeral service, US Ambassador Adlai Stevenson was quoted as saying "What other single human being has touched and transformed the existence of so many?...She would rather light a candle than curse the darkness, and her glow has warmed the world." other web site which presents these data in quality?